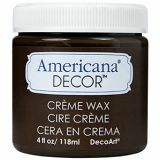 Deco Art Deep Brown Americana Decor Creme Wax - Deco Art-Americana Decor Creme Wax. Use over Americana Decor Chalky Finish to seal and protect your finished piece! Also, use on raw or painted wood pieces. 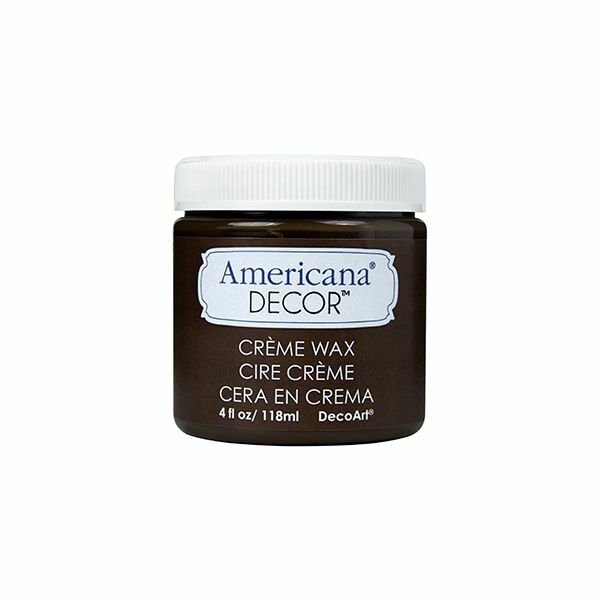 This package contains one 4oz jar of decor creme wax. Comes in a variety of colors. Each sold separately. Conforms to ASTM D 4236. Made in USA.